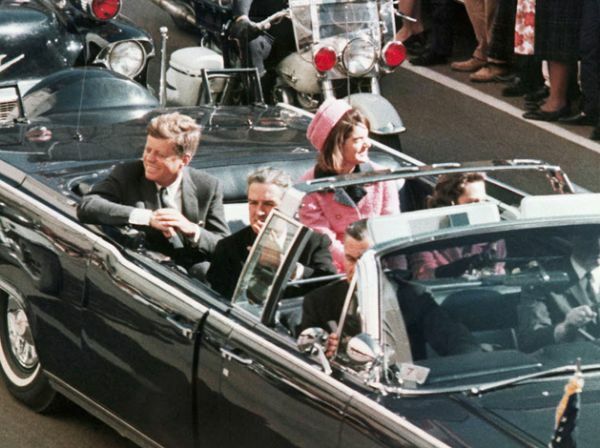 As you may have heard (since I’m pretty sure we haven’t stopped talking about it since it happened), today is the 50th anniversary of the Kennedy assassination. 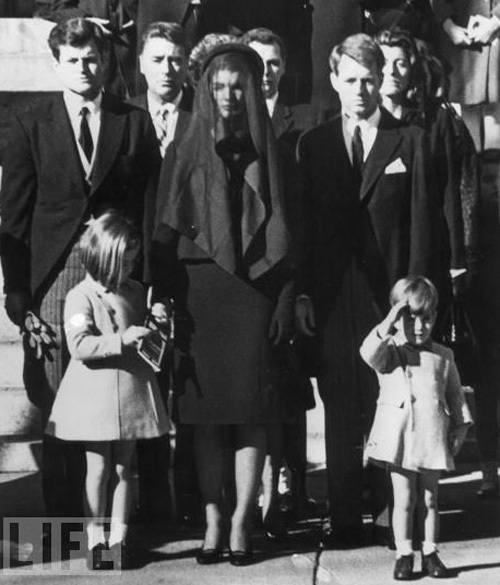 It was/is a national tragedy that has shaped the perspectives of all subsequent generations of Americans, and determined the somewhat jaded political path our nation has since taken. 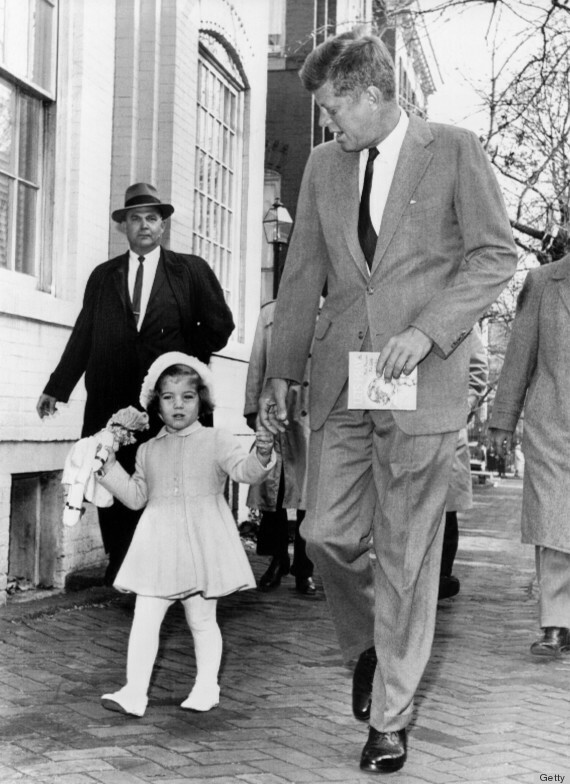 Although fifty years seems far-removed, it was not so long ago that our parents were children, bearing witness to the adults around them “crumble with emotion” at the news that the President of the United States was shot and killed in Dallas. A pretty presentation moments before. 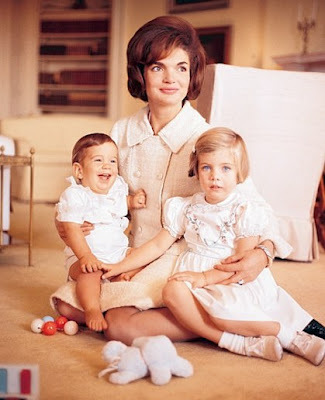 Before the assassination, however, the White House was transformed into a young, chic “Camelot” by two gorgeous, talented and intelligent people, who embodied the “ideal” American family; all smiles, elegance and ease. These two people crafted an era short-lived, but endlessly influential. 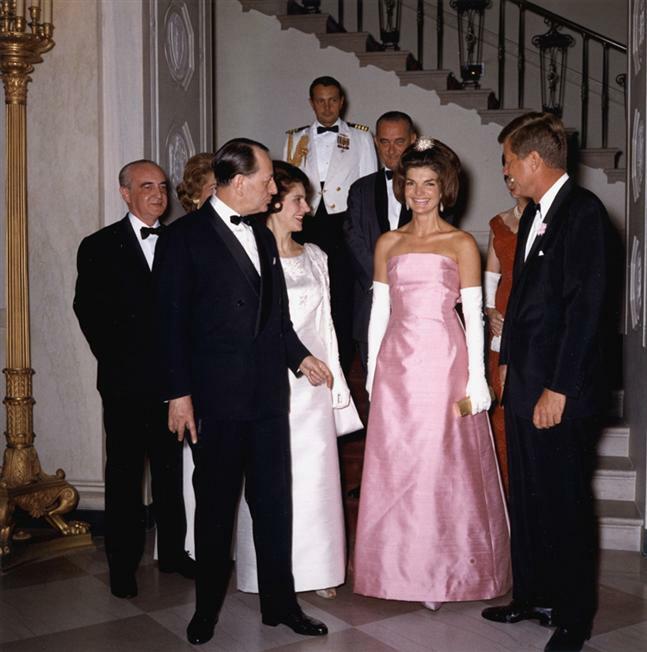 Jacqueline “Jackie” Kennedy was a beautiful debutante who transformed the White House, helped JFK win elections with her varied skill set (not just being pretty), and helped to uphold his legacy long after his death. A beautiful, happy young mother! One of her many roles. 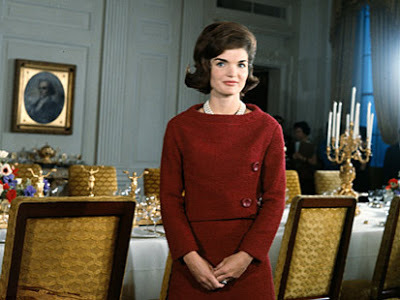 Her restoration of the White House offered a rare glimpse for the public into the historic and decorative aspects of our nation’s capital. 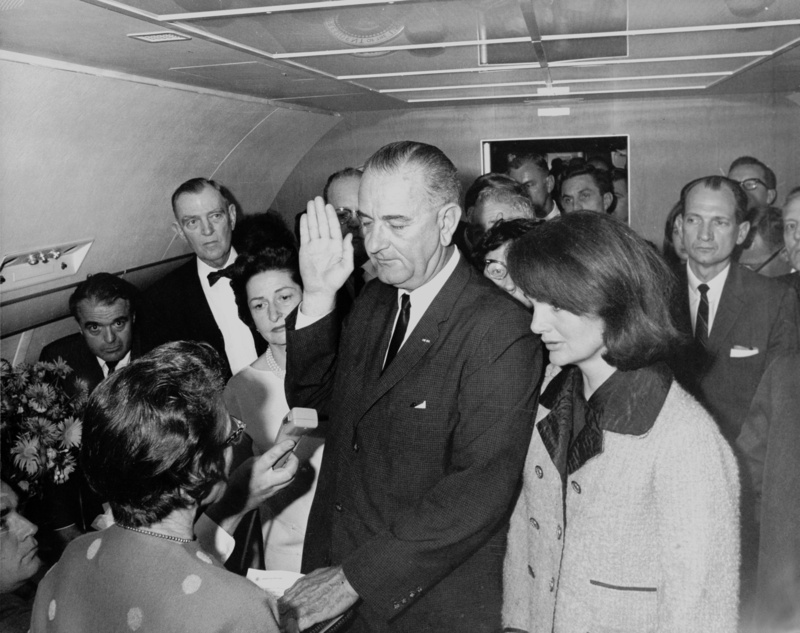 Standing in her (now) iconic and (forever) stained pink Chanel-style suit, Jackie looks on as Lyndon Johnson is sworn in on Air Force One. 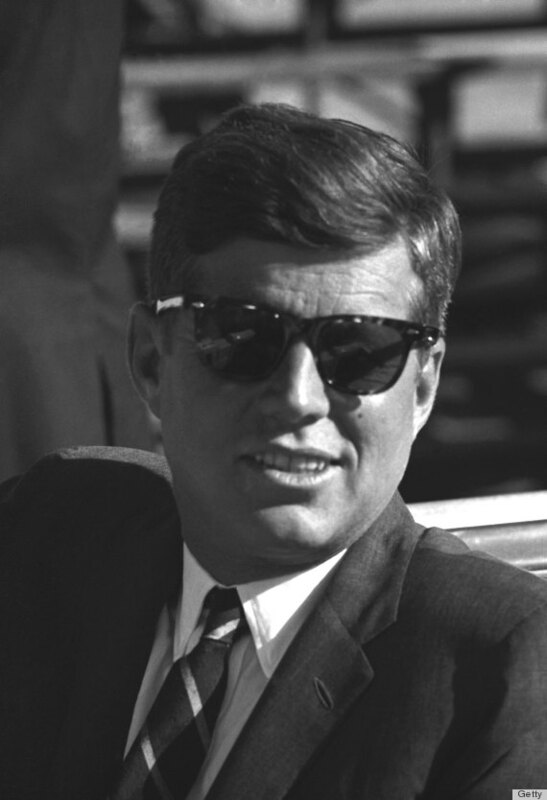 So, in fifty years of these macabre anniversaries, Americans have remembered the legacy of John F. Kennedy, his political career, personal life, and the many conspiracies surrounding his death. 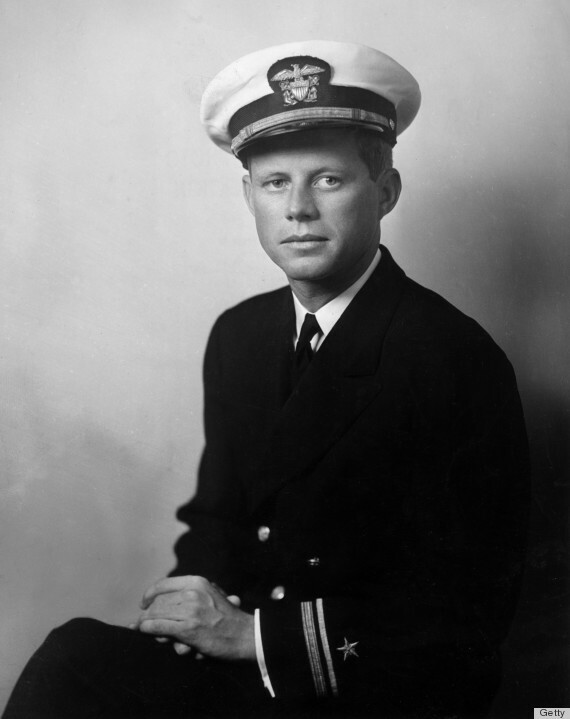 Our understanding of these events may never satisfy some, and the tendency to create national legends will certainly color the facts; however, many of the cultural issues Kennedy dealt with during his time in office remain relevant today, and so we should not feel too far removed from the events of this date. This is still so sad and poignant. 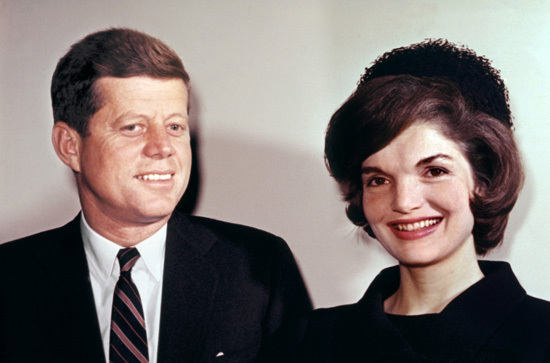 As pretty, wealthy, and influential as John F. Kennedy and Jackie were, their struggles with war, politics, health issues, marital issues, and personal loss are shared by a nation of people who desperately want to believe that we can accomplish our lofty goals. 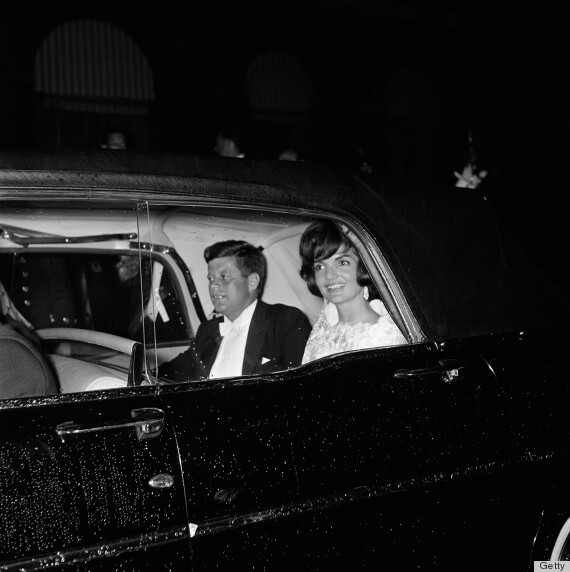 Our remembrance of the Kennedy assassination remains a critical reminder that it is essential for us to protect the ideals of freedom, liberty, and justice, despite our differences, in order to prevent violence and chaos from tearing people apart. Previous Post Throwback Thursday – Graceland! Next Post Let’s All Appreciate Quilting!